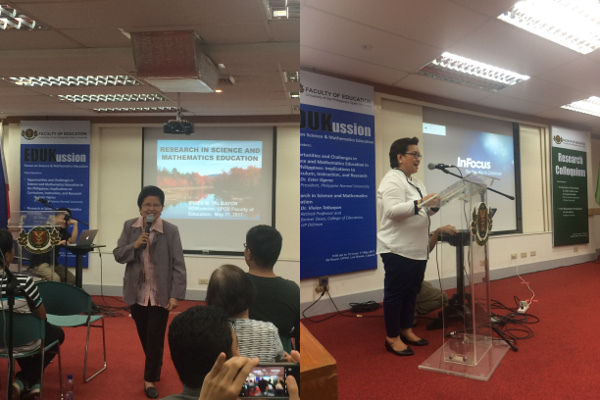 The EDUKussion Forum Series was launched on 17 May 2017 at the UPOU Audio Visual Room in Los Baños, Laguna. The Forum is an initiative of the UP Open University (UPOU) Faculty of Education (FEd) which aims to serve as a venue for discussion to address various education-related issues and be updated in the current trends of education in the Philippines. 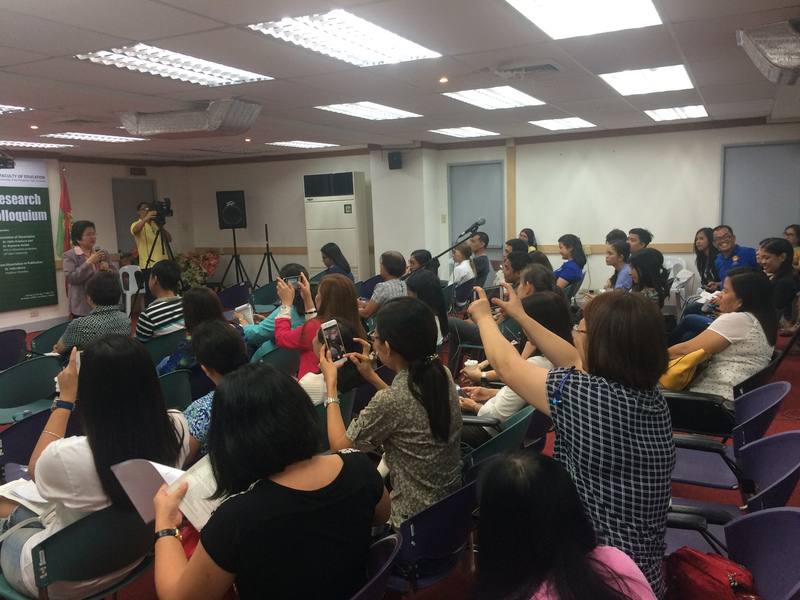 The first series of the forum focused on the discussion of the recent opportunities and challenges in Science and Mathematics Education in the country and its implications to curriculum, instruction, and research. Two well-known educators and researchers in the country graced the occasion. Dr. Ester B. Ogena, President of the Philippine Normal University and former director of the DOST-Science Education Institute discussed the "Opportunities and Challenges in Science and Mathematics Education in the Philippines: Implications to Curriculum, Instruction, and Research." Dr. Vivien M. Talisayon, retired professor and former Dean of College of Education in UP Diliman talked about the "Research in Science and Mathematics Education". UPOU staff and students, as well as teachers from high school and higher education institutions participated the forum. The forum started with Dr. Ogena&apos;s (left) discussion followed by Dr. Talisayon (right).